Philip T. Inglima: White Collar & Regulatory Enforcement/Litigation & Trial Lawyer: Washington, D.C.
White Collar – Corporate Monitors: Peace, at What Cost? Phil Inglima is a partner in Crowell & Moring's White Collar & Regulatory Enforcement Group, chair of the firm's Management Board, and a member of the firm's Executive Committee. He has litigated a broad range of criminal and civil matters in trial and appellate courts, with an emphasis on criminal frauds and parallel civil and regulatory enforcement proceedings. Phil frequently conducts internal investigations for corporations, with recent efforts focusing on the Foreign Corrupt Practices Act, the Federal False Claims Act, procurement fraud, bribery, false statements, and potential environmental crimes. He has counseled companies in the development and implementation of compliance programs, and has guided clients through regulatory reporting and disclosure processes. He also has extensive experience in handling congressional investigations and professional responsibility proceedings. In high-stakes, high profile matters, he has achieved outstanding results for a wide variety of corporate and individual clients over the past 25 years. Defense of Murray Energy Corp. and its Utah subsidiaries in multiple congressional and inspector general investigations and a federal grand jury investigation concerning the fatal accident at Crandall Canyon Mine, which concluded with a misdemeanor plea and fine for the lowest corporate subdivision and no enforcement action against any company personnel. Defense of MTS Systems, Inc., in connection with civil and criminal enforcement actions relating to government contracting disclosures and alleged False Claims Act violations, which concluded with a civil settlement and lifting of a federal contracting suspension. Defense of EO Group Ltd. and its principal in connection with FCPA and fraud allegations in the U.S. and Ghana, which concluded with declination of charges and cleared the way for successful conclusion of EO Group's participation in Ghana's largest oil & gas exploration to date. Conducted internal investigations for several Fortune 500 companies concerning a broad array of potential criminal and regulatory violations. Defense of senior executives in automotive parts, freight forwarding, and shipping industries in criminal antitrust investigations of alleged Sherman Act violations. Representation of multiple executives of BP plc in connection with investigations and litigation relating to the Deepwater Horizon disaster. Defense of a national transportation company in connection with criminal investigations and civil litigation resulting from multiple fatal and non-fatal accidents. Defense of former Director of West Power Trading at Reliant Energy in criminal and CFTC proceedings relating to alleged manipulation of the California electricity market; after three years of post-indictment, pretrial litigation, secured a deferred prosecution agreement and dismissal of the charges without any penalty. Defense of former Executive Vice President for Investor Relations at Enron in criminal, SEC and civil proceedings; negotiated dispositions with the DOJ and SEC that substantially limited client's exposure, and guided client through central cooperation role in the related prosecutions of Kenneth Lay and Jeffrey Skilling. Defense of former senior trader at Williams Energy Marketing & Trading on criminal conspiracy and commodities manipulation charge; client avoided incarceration. Defense of former Greenberg Traurig lobbyist in criminal and congressional investigations relating to his role as a member of "Team Abramoff;" client avoided any criminal or civil charges. Defense of multiple Freddie Mac and Fannie Mae executives in connection with earnings manipulation investigations by Special Board Committee, SEC and DOJ; all clients avoided dismissal, enforcement proceedings or penalties. Defense of former partners at Big Four accounting firm and national law firm in connection with criminal tax shelter fraud investigations; clients avoided criminal charges and professional sanctions. Defense of former senior executive at Kellogg, Brown & Root in connection with DOJ and SEC investigations of Foreign Corrupt Practices Act violations in Nigeria; client avoided any criminal or civil charges. Defense of multiple individuals in SEC formal investigations and enforcement proceedings relating to suspected insider trading and earnings manipulation; all clients have avoided dismissal, permanent bars or criminal referrals. Appointment as Delegee Independent Consultant, approved by the Department of Justice and Securities and Exchange Commission, to investigate suspect transactions in connection with the Consent entered in settlement of Securities and Exchange Commission v. American International Group, Inc. (AIG), No. 1:04CV2070 (D.D.C.). Phil has tried criminal and civil cases in both federal and state courts. He has argued federal appeals and post-judgment petitions, participated in arbitrations and mediations, and has represented clients in connection with professional responsibility proceedings. For the past several years, Phil has been recognized by clients and peers as a leading lawyer in Chambers USA in the areas of Litigation and White Collar Crime & Government Investigations, and both Super Lawyers and The Best Lawyers In America have repeatedly rated him as a leading lawyer in White Collar Criminal Defense. Prior to joining Crowell & Moring, Phil's extensive white collar experience included nearly two years of service as a Senior Associate Independent Counsel in the investigation of then-Secretary of the Interior Bruce Babbitt. On that probe, Phil led a team examining allegations of perjury, bribery, improper influence peddling and campaign finance fraud involving national political organizations and numerous high legislative and executive offices. This role drew upon his experience representing government officials and businessmen in public corruption and fraud prosecutions during his more than eight years in private practice with Plato Cacheris. A 1984 graduate of Georgetown University's College of Arts & Sciences and a 1988 graduate of Georgetown Law Center, Phil remains actively engaged in the Georgetown community. From 2006 to 2008, he served as President of Georgetown's Alumni Association and a member of the University's Board of Directors. He also has served as an adjunct professor at Georgetown Law Center, teaching a course in Federal White Collar Crime. Phil began his career as law clerk to the Honorable June L. Green of the U.S. District Court for the District of Columbia. He is a member of the state and federal bars of D.C., New York, and the U.S. Supreme Court. Phil has been an active volunteer in the D.C. Bar, having chaired the Criminal Law steering committee, the Council on Sections and the Nominations Committee. He is a member of The Barristers and The Lawyers Club of Washington. Phil and his wife and three children reside in the District of Columbia. 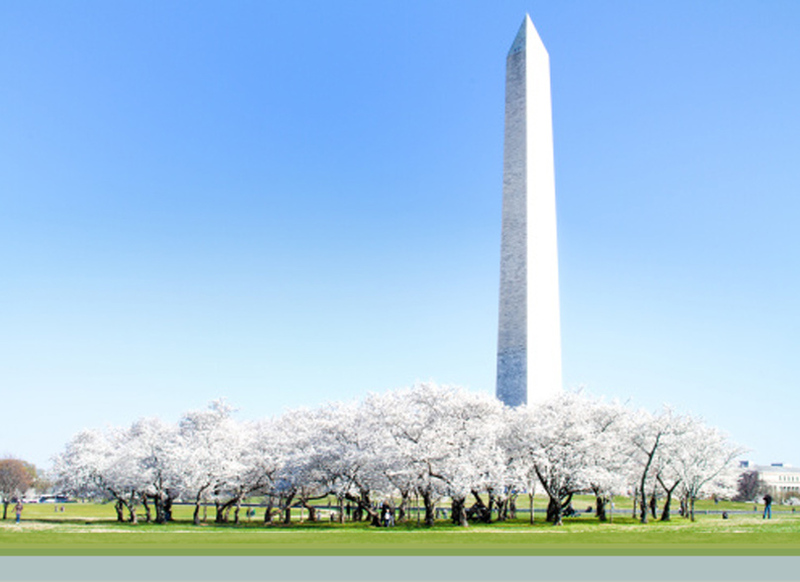 "Investigations – Part I: Figuring out the Facts," OOPS 2016, Crowell & Moring's 32nd Annual Ounce of Prevention Seminar, Washington, D.C. (May 25-26, 2016). Moderator: Peter Eyre; Panelists: David J. Ginsber, Philip T. Inglima, Gail D. Zirkelbach, and Jacinta Alves. "Breaking News – Key Elements of Crisis Management," OOPS 2014, Crowell & Moring's 30th Annual Ounce of Prevention Seminar, Washington, D.C. (May 13-14, 2014). Moderator: Daniel R. Forman; Presenters: Richard Arnholt, Erica Elliott, Peter Eyre, David J. Ginsberg, David C. Hammond, Philip T. Inglima, and Gail D. Zirkelbach. "Investigations," Crowell & Moring's 2012 Ounce of Prevention Seminar (OOPS), Washington, D.C. (May 9-10, 2012). Presenters: Philip T. Inglima, Andy Liu, and Raja Mishra. "Responding to Investigations and Enforcement Actions by Regulatory Agencies," Crowell & Moring Product Risk Management Seminar (October 19, 2011). Moderator: Ann Mason Rigby. Panelists: Mark Josephs (United States Department of Justice); Philip T. Inglima. "Lawyers, Lawyers, Everywhere: Who Do You Represent Again?" American Bar Association, Criminal Justice Section, National Institute on Securities Fraud, Washington, DC (October 25, 2007). Moderator: Philip T. Inglima. "Putting the 'Collar' to "White Collar": Emerging Trends in U.S. Regulatory Enforcement," KPMG Forensic Focus Seminar, Chicago, IL (August 6, 2007). Presenter: Philip T. Inglima. "Parallel Investigations," American Bar Association, Criminal Justice Section, National Institute on Securities Fraud, Washington, DC (September 28, 2006). Panelist: Philip T. Inglima. "Trial of Criminal Securities Cases," American Bar Association, Annual Convention, Section on Business Law, Criminal Securities Trial Program, New York, NY (July 2000). Panelist: Philip T. Inglima. "White Collar – Corporate Monitors: Peace, at What Cost?" Crowell & Moring's Litigation Forecast 2018 (January 2018). Contributor: Philip Inglima.